There are so many "items of interest" in my home. Note that I don't use the term "value", although there are some. But the things that draw the most attention and comment are often the simplest of the many items that are strewn about, cluttering my desk, the end tables and even the chairs. And some defy an explanation as to how they arrived on scene. 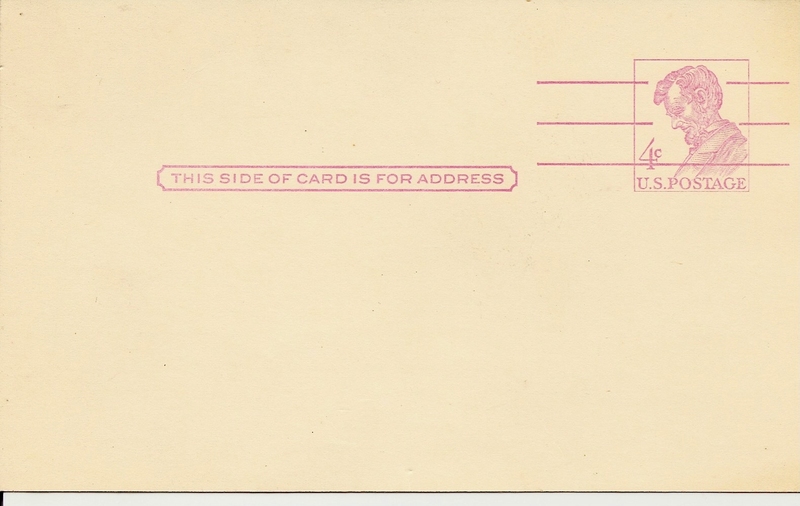 Take, for instance, this 1958 four cent Postcard; where did I get it? Why was it tucked into my Bar Mitzvah Bible? I have no idea. The thing is, I have a roomful of stuff like this. I have old Texaco and Esso (Exxon) maps which I obtained while riding my bicycle up and down Coney Island Avenue in Brooklyn. My brother and I hit every gas station between Avenue W and Avenue H for maps of the East Coast, Southeast Coast, etc. It's how I really learned geography, and also why I can still name all the coastal states in order. I have old coins, soda bottles, a seltzer bottle that I "liberated" from a soda truck in 1969, various letters and objects of art, small statues and some guitars; which I do play, though not as well as I'd like. And then there's the issue of the stamps. I have them, both foreign and domestic, crammed into every available small wooden box, and some, like these two, actually stay tucked into picture frames that depict events applicable to the times in which they were used. The Project Mercury stamp was actually purchased by me after John Glenn made his historic 3 orbits around the Earth in 1962 and stays tucked in the frame of a John Glenn Commemorative Plaque. The World War Two "Victory" stamp probably belonged to Mom, and is likewise tucked into the frame of a photo of her taken around that time. I just wonder from time to time how these things survived the years I was away from them; years when they were tucked away in a trunk, sitting in some rented garage in my old neighborhood of Brooklyn, while I wandered about the rest of the world. I don't always have an explanation for where I acquired certain things, like the Baltimore Fire Department jacket button, the silver jacketed .38 calibre bullet, or the green iron vise that sits on the floor in my bonus room. But I like all these things, they add color and flavor to my days and speak to who I am. Just one more " item of interest."